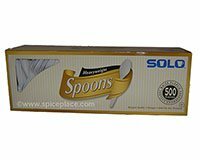 Heavyweight White Plastic Spoons. Disposable Foodservice Cutlery. 500 Pieces.